Short CV: He obtained his PhD from the Department of Computer Science of the university of Toronto. He had faculty appointments with the departments of Computer Science of the Universities of Toronto and Waterloo. He was Professor and Associate Chairman responsible for Graduate Studies in the University of Waterloo and Member of the Board of Directors of the Institute for Computer Research. He was also the first acting Chairman and Chairman in the Department of Electronics and Computer Engineering of TUC (between 1990 and 1995). He has been Co-Chair of the Program Committee of the conferences of VLDB and Multimedia Information Systems, European Chair, Area Chair and Member of the program committees of many international scientific conferences. He also served in the Editorial Board of ACM Transactions on Information Systems, ACM/IEEE Multimedia, Information Systems, Parallel and Distributed Systems and the UCS Journal. He was also Keynote Speaker, invited speaker and tutorial lecturer in many scientific and technological lecturer in many scientific and technological events, and he was offered an Industrial research Chair position supported by NSERC, Universities, Research Institutes and hi tech industry in Canada. He is currently Director of the MUSIC laboratory (http://www.music.tuc.gr), which has an extensive participation in international research and development projects with European Research Institutions and Industry. 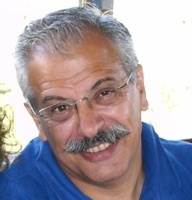 Research Areas: Professor Christodoulaki’s research interests are in the areas of web applications and services, ubiquitous applications and digital TV applications, multimedia information systems and databases.